Amina Muaddi has adored shoes from a young age – she used to try on her mom's high heels and walk around in them. 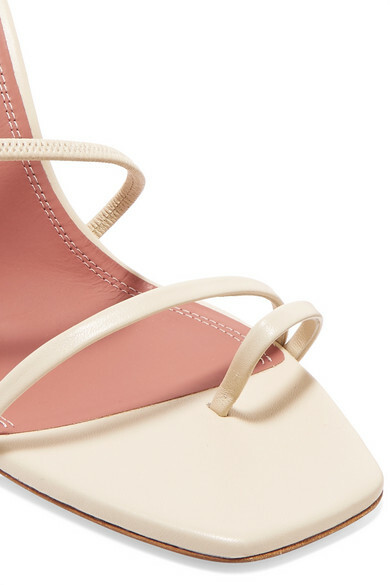 These 'Naima' sandals have been made in Italy from soft ivory leather and have '90s-inspired square footbeds. They're topped with slender straps, a few of which are elasticated to keep them securely in place. Shown here with: Ellery Shirt, Prada Skirt, Prada Shoulder bag, Paola Vilas Ring, Jennifer Fisher Earrings.